Charity can often be a word bandied about but with no real meaning behind it. If there’s one thing I’ve discovered about AquAid it’s that you’ll find tons of individuals throughout the AquAid network that aren’t just committed working professionals, but they’re really dedicated to raising funds for those less fortunate than themselves. And not just for their fellow human beings, but for other beings too. One such individual is Scott Barnbrook. A lot of you may know Scott as the Regional Manager of AquAid water coolers or perhaps for his role as National Sales Manager. You may also know that AquAid have always been involved in contributing to sustainable charities. 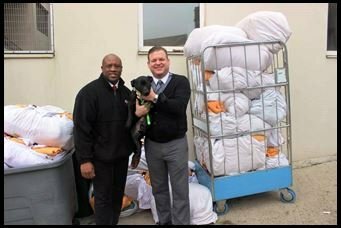 What you may not know is that Scott is also one of the largest independent fundraisers for the Birmingham Dogs Home. Scott has, to date, raised a cracking £2,612.02 of his £2,500.00 target, of which all proceeds go towards helping to fee d the dogs at Birmingham Dogs Home. The home also manages the Sunnyside Dogs Home at Wolverhampton. 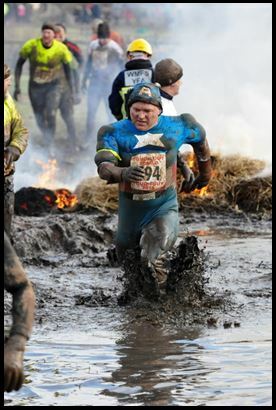 One of the many events that Scott participates in to raise funds for charity is the Tough Guy – the most recent being the Winter Tough Guy that took place on the 1st of February. If you’d like to find out more about donating to Scott’s chosen charities or just more about the charities themselves, you can visit Scott via Just Giving. Well done, Scott, we’re bark aloud proud of you!